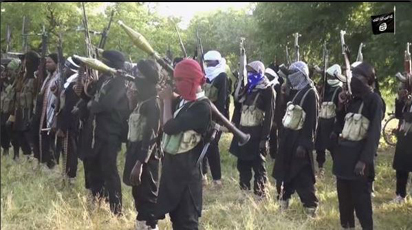 Welcome to Mercy Ebute's Blog: Army exposes Boko Haram’s new bombing tactics. Army exposes Boko Haram’s new bombing tactics. The Defence Headquarters has revealed that Boko Haram terrorists have devised new tactics like crying and feigning pains and shouting to attract sympathy from unsuspecting public before bombing them. In a statement, Monday, the Defence spokesperson, Col. Rabe Abubakar said this means of inflicting harm on innocent citizens is to further their terrorist cause. Abubakar said: “When a lot of people of goodwill gather to render help in the process, the suicide bomber detonates bombs which they conceal under their clothes. The recent suicide bombing in Damaturu is instructive. The statement therefore advised Nigerians to be wary of such antics as the terrorists who are losing out in their former enclaves are now desperate to remain relevant by using any means to perpetuate fear in the minds of the populace. “The Defence Headquarters also warns citizens to be extra vigilant and wary of terrorist malevolence in such places as parks, worship centres and recreation spots particularly in this festive period. Citizens are advised to report suspicious persons or objects to security agencies for prompt action,” he added.